Perry Block - Nouveau Old, Formerly Cute: Gun Sanity At Last! Flanked by the leadership of both the Democratic and Republican parties, President Obama today signed the Sane Armaments and Firearms Elucidation Regulations Bill (SAFER) in the While House Rose Garden to the generous applause of all present. "How foolish we were ever to oppose this!" exclaimed an exhilarated Wayne LaPierre, CEO of the National Rifle Association. "These are common sense measures to protect all Americans and fully consistent with the Second Amendment." Mr. LaPierre praised New York Senator Chuck Schumer for helping him to see reason. 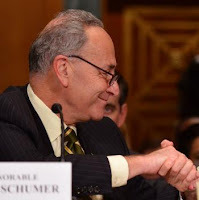 "Chuck's persuasive logic and rationality convinced us that we were wrong in our prior bone-headed opposition to a reasonable level of regulation of the use of firearms," remarked Mr. LaPierre. 2) Mandatory training in safe and responsible use of firearms for all who seek to own and use them, the NRA to be a leading provider of such training. 3) Banning of all semi-automatic military style weapons. 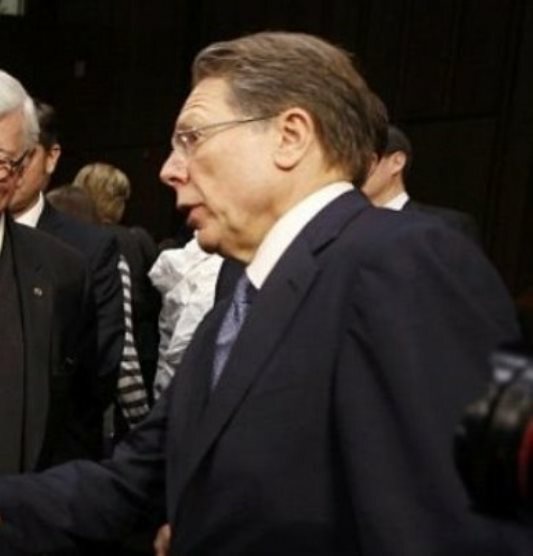 "All of us at the NRA are so thrilled with what has happened we are changing our name to the National Reasonable Association," said a beaming Mr. LaPierre. "I am indeed gratified," said President Obama, "to at long last see rational thought and bi-partisan unity operating in an exemplary fashion to foster the safety and best interests of the American people." Ha! Love it. Fiction indeed. This would require an intellectual growth spurt by Mr. LaPierre. Thanks, Norm. Yes, this fits within the realm of science fiction! Quite a nightmare if you ask me. This is like an iceberg colliding with the furnace of Hell. Here in Arkansas housewives and school teachers are buying firearms like toddlers on a sugar fix. "Toddlers on a sugar fix" - I love that expression! I don't have a problem with people buying guns if they know how to use them and have a background check first, but I doubt toddlers on a sugar fix do.